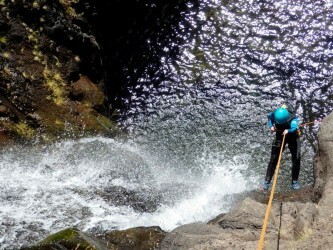 Canyoning in Madeira Island is to feel an incredible dose of adrenaline, while revealing the exciting journey through transparent waters. 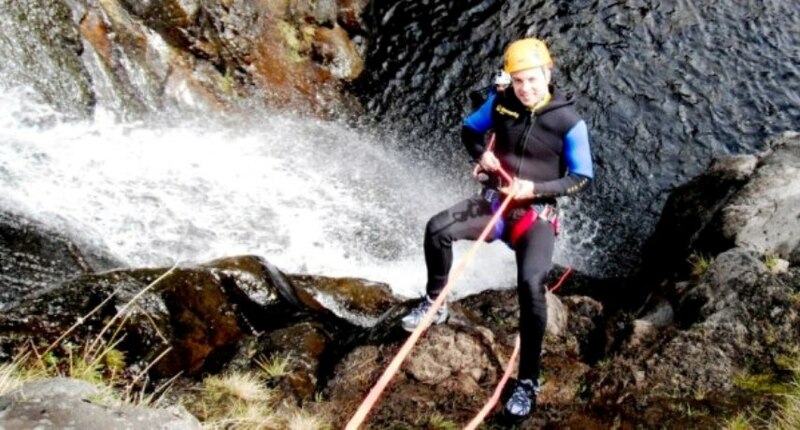 Canyoning is an exciting activity: exploring a stream or a steep watercourse. Vertical and amphibians obstacles are overcome through various techniques such as climbing, jumping, abseiling and swimming. 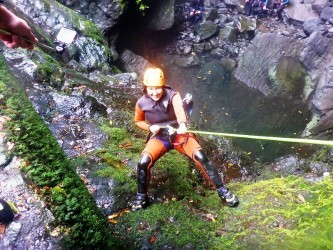 Making Canyoning in Madeira Island lets you discover unknown and untouched parts of the island. During the summer, the northern water flows are the most appropriate. During the winter, however, the rivers of the South, with softer levels and quieter flows. Currently it is possible to practice this sport in different locations of the island that are equipped, as in Ribeiro Frio, Ribeira das Cales, Ribeira da Pedra Branca, Ribeira da Hortelã, Ribeira Step or Ribeira do Inferno.